Lee Ann (left) and Rochelle (right). Do you need some RETREAT in your life? Your retreat guides, Lee Ann and Rochelle, are both certified in the experiential work of Brené Brown, and we have put together the best of Brené. From her four books, The Gifts of Imperfection, Daring Greatly, Rising Strong, and Braving the Wilderness we have picked the activities and learnings specifically for this retreat to help you on your journey of wholehearted living. This is a great opportunity if you've wanted to find a tribe of people who are interested in the work of Brené and who are ready to take it to the next level. Especially if you have difficulty with your schedule committing to a group that meets every week, this is a good opportunity for an immersive experience. 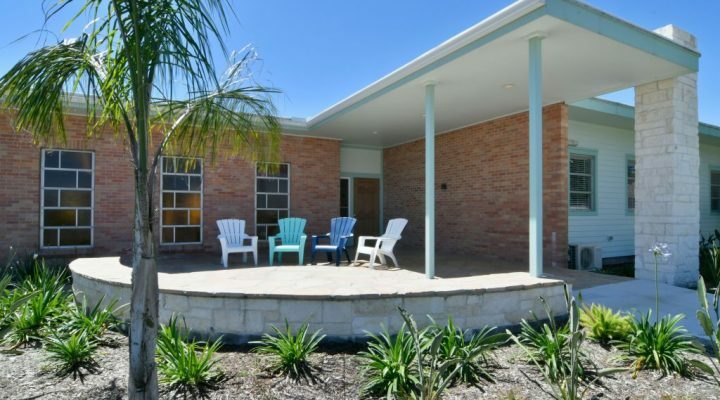 We have intentionally chosen a location close by so that it will hopefully be accessible to all - The Zion Retreat Center (6910 Yucca Dr. Galveston, TX 77551). It is just 10 blocks from the beach! See the schedule below for a detailed time-line and the FAQ below for more information. There will also be optional daily morning yoga led by Lee Ann, who is a Registered Yoga Teacher. 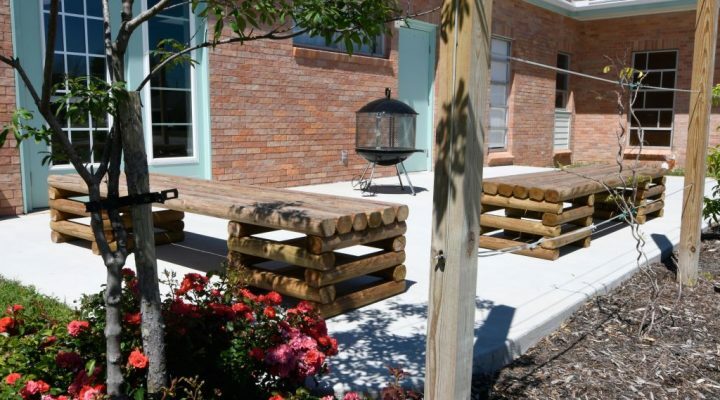 Each room has four beds (2 full size beds and 2 lofted twin beds) with a private bath attached. You can let us know if you have a room-mate preference or any rooming special considerations. -Anything you may need for a weekend away! Clothing, toiletries, sunscreen, art or journaling supplies. If you are going to be participating in yoga please bring a mat if you have it and loose comfortable clothing. All of your bedding and bath towels will be provided. -Three meals Saturday and breakfast Sunday are provided. Feel free to pick up or bring your dinner with you Friday night as there will only be light snacks available that evening. The WHOLE weekend with lodging, meals, supplies, and more is only $349. Register with a friend, you both receive $50 off your registration so it will be $299! ​This retreat is limited to 24 participants. Beds are first come first serve so please include your preference (full size or lofted twin) and any roommate requests in the comments during your online registration, along with any dietary needs or other special accommodations. "The real heart of any RETREAT is the combination of people who are open to receive and explore with a vulnerable heart." is a Licensed Marriage and Family Therapist and Certified Daring Way™ Facilitator who founded Friendswood Family Counseling in September 2012. Rochelle has been married for 30 years and has four young adult children that she adores. is the founder of Daring Discoveries, a holistic, creative business. She is an artist, a Certified Daring Way™ Facilitator, a registered yoga teacher, and a licensed psychotherapist with over ten years of experience. What type of things will this retreat address? This retreat is about self-discovery and growth using the work of Brené Brown and other creative expressions. While Lee Ann and Rochelle are both licensed mental health professionals, this is not a therapy retreat, and we will not be performing the role of therapists at this retreat. We will not be able to deal with individual issues and all participants will need to be able to participate respectfully in group dynamics. We do not recommend you attend this type of retreat if you have sustained any type of major trauma in the past year. If you are unsure if this retreat is a good fit for you, please contact us and we will be happy to speak with you further. 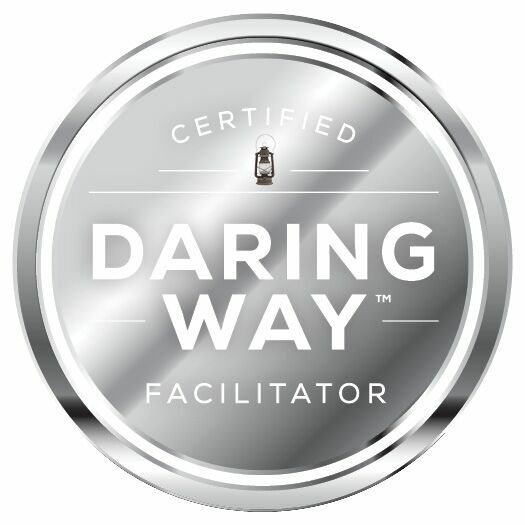 What is a Certified Daring Way™ Facilitator? The Daring Way™ is a highly experiential methodology based on the research of Dr. Brené Brown. Both Lee Ann and Rochelle have been trained and certified in this method. Here's more about the method from The Daring Way website: "During the process we explore topics such as vulnerability, courage, shame, and worthiness. We examine the thoughts, emotions, and behaviors that are holding us back and we identify the new choices and practices that will move us toward more authentic and wholehearted living. The primary focus is on developing shame resilience skills and developing daily practices that transform the way we live, love, parent, and lead." If you have any special dietary requests please inform us well in advance so we can make accommodations. There is a $50 non-refundable registration fee. If you need to cancel, you will be refunded your payment, minus the $50 fee, up until August 21st, 2018. Due to the retreat facility and the dynamics of this type of retreat, we are unable to offer refunds after that time. Please contact us if you have any concerns. We would love to help! Simply contact us. Stay connected and share with the Facebook Event!